Alex Thomas Postic has been practicing law since 1994. His career has led him to a practice of defending and representing individuals in legal matters, criminal and civil. That representation extends to the smallest municipalities to the State's Supreme Court as well as United States Federal District Court. Alex Thomas Postic was born in Pittsburgh, Pennsylvania in 1967, and moved to Columbia, South Carolina in 1977 when his father Dr. Bosko Postic got a position at the University of South Carolina Medical School. His mother, Mowie Odile Postic, taught French and Spanish at a local high school and at the University of South Carolina. After graduating high school in 1986, Alex Thomas Postic went to the Honors College at the University of South Carolina where he studied French, English, History, and Philosophy. He graduated from the Honors College in 1990, and after a year of working as a teaching assistant at Midlands Technical College, he entered the University of South Carolina Law School. After law school, Alex Thomas Postic worked initially as an associate in private practice law firms before becoming a state prosecutor. It was in this capacity, that Alex Thomas Postic developed skill as a trial attorney and negotiator, handling hundreds of criminal cases at a time. Alex Thomas Postic worked as prosecutor for 5 years in Richland and York Counties, where he gained experience in trial preparation and advocacy. He also developed the research and administration sills that he uses in his present practice. Before opening his law firm, Alex Thomas Postic worked for two years as a partner in general practice law firm with offices in Columbia, South Carolina and Rock Hill, South Carolina. In 2003, Alex Thomas Postic opened the Law Offices of Alex Thomas Postic, a solo lawyer firm in Columbia, South Carolina. His practice has taken him all over the state. Mr. Postic is active in the Richland County Bar and the SC Bar Association. 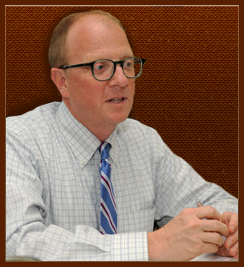 He is currently the chairperson of the Solo and Small Firm Section of the State Bar Association. Mr. Postic has spoken at several conferences. Alex Thomas Postic lives in Columbia with his wife and three boys. He enjoys tennis, biking, reading, and soccer. Mr. Postic is fluent in French. He is active in the community, serving on several volunteer boards as well as in his church, Trinity Episcopal Cathedral.